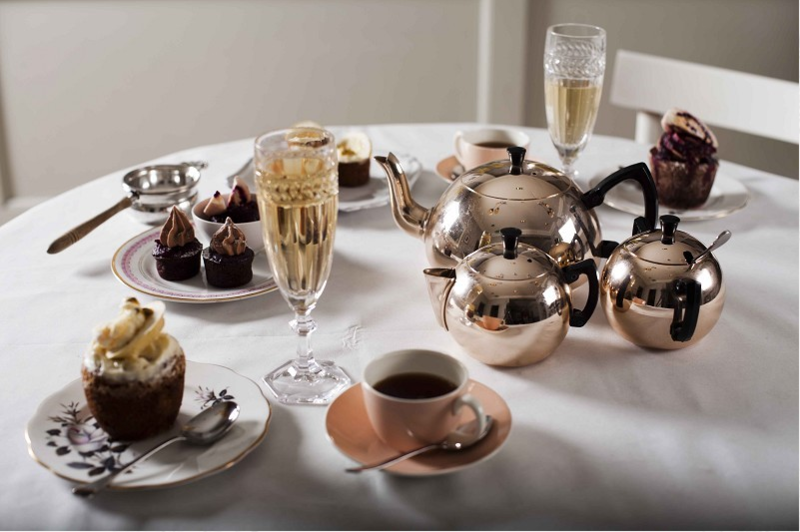 Invented by the 7th Duchess of Bedford to sate her appetite between breakfast and dinner in early 19th century, when it was common to only have these two meals a day, afternoon tea was simply a pot of tea accompanied by a light snack taken privately in her boudoir. Keen for some company, she started inviting friends to join her at Woburn Abbey, something she continued to do on her return to London. 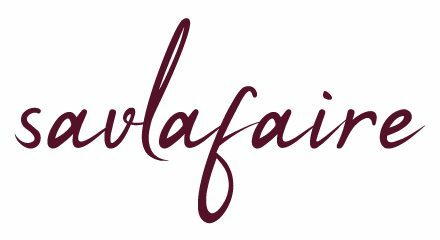 Word soon spread of their popularity, with other social hostesses following suit, thus leading to the birth of afternoon tea. Now seen as a respectable practice, it was moved from boudoirs to drawing rooms, and preceded a languorous stroll around Hyde Park. 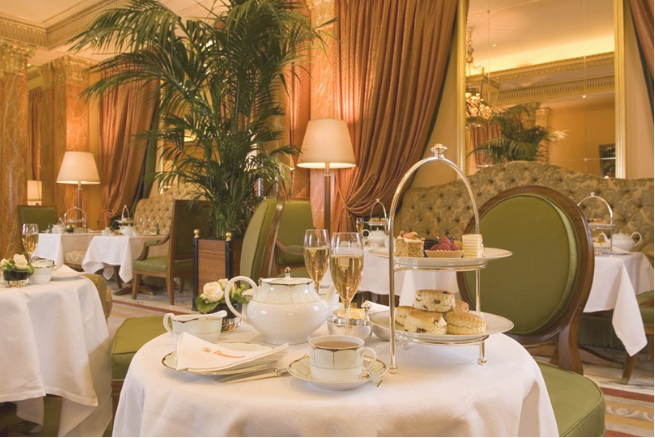 Afternoon tea in 21st century London tends to be a more luxurious affair, served in some of the city’s most illustrious hotels and restaurants. To celebrate #AfternoonTeaWeek (8-14 August), I’ve rounded up some of my best experiences, as well as those I can’t wait to try, hopefully by the end of 2016. Best afternoon tea compilations very rarely feature this Clerkenwell restaurant, which is a crying shame in my opinion. Offering the usual suspects but with an Asian-inspired twist, Modern Pantry is the place to come if you’re after contemporary culinary concoctions in relaxed, informal surroundings. My sister and I had been keen to try this version after popping in for dinner on a whim and being blown away by the unique flavour profiles symbolising Anna Hansen’s signature style. Afternoon tea isn’t quite the same without bubbles, so naturally we both jumped at the opportunity to indulge before tucking into some stunning sandwiches, savoury scones and sweet treats. Since this was also some time ago, I can’t quite outline the exact menu, but I vividly recall each morsel being unexpectedly different and extremely tasty. To compensate for my sieve-like memory, the current menu includes chia seed bread, guacamole and Aleppo chilli popcorn, a pecan, ginger and oat scone with clotted cream and apple and nutmeg jam and a Tonka bean custard tart. I’ve had several meals at both the Clerkenwell and Finsbury Square branches (read my review here) and highly rate their dishes, especially the rich, inventive desserts. This Great British institution attracts tourists in droves; not ideal when you’re slightly worse for wear after too much red wine the night before. Combine that with battling the weekend crowds on Piccadilly and it’ll almost tempt you to turn around and head home. 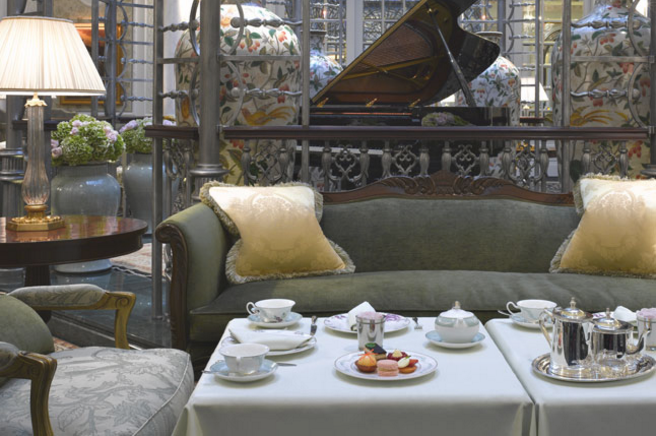 After making my way through the masses to reach The Diamond Jubilee Tea Salon, I was rewarded with an oasis of calm, punctuated by tinkling ivories. My sister and I then were led into the quiet salon, where we decided on the Traditional Afternoon Tea. 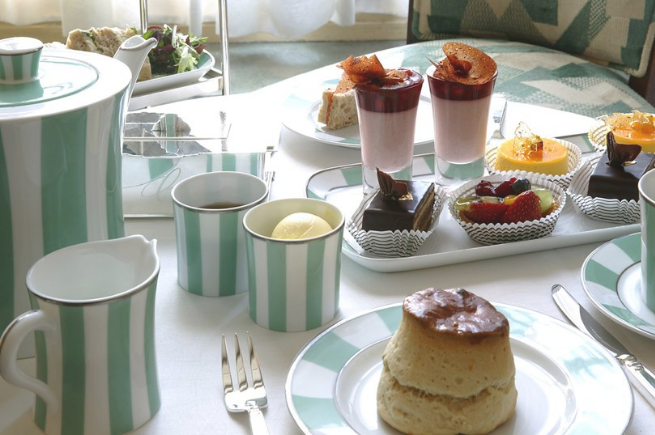 Other options include Savoury Afternoon Tea (sandwiches, savoury scones and savoury treats) and High Tea (savoury dish such as lobster omelette, plain scones and tea cakes). Had I been on form, I would’ve ordered the latter in a heartbeat, but thought it wise to stick with something simpler. That said, I thoroughly enjoyed the finger sandwiches, plain scones with lemon curd and raspberry preserve and the delicate pastries, my favourite being the chocolate mousse. You can also help yourself to a few items from the cake carriage, although I asked for my banana and walnut bread to go since I was full to the brim. 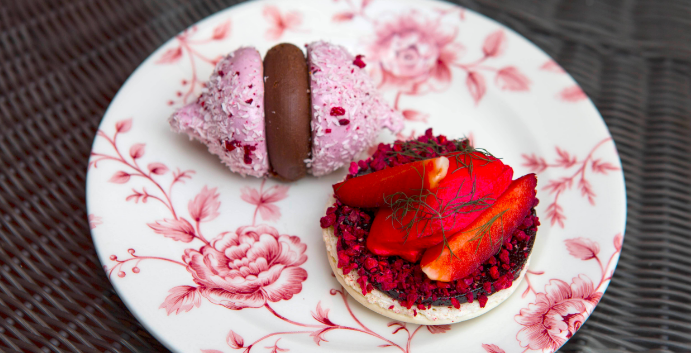 The Mad Hatter’s Afternoon Tea at the Sanderson Hotel is definitely not to be missed, as they’ve taken the rule book, flicked through it then tossed it out of the window. The only concession to tradition was the format, i.e. sandwiches, scones and sweet, and the rest was designed to stimulate your eyes and palate. Menus were presented inside vintage books, sweet drinks appeared in tiny bottles labelled ‘Drink Me’, teapots were decorated with images of queens and the sugar bowl was replaced by a music box. As for the food, savoury fillings were sandwiched between colourful slices of bread, savoury scones became sweet and pastries depict fantasy land adventures. While it’s a fun way to spend an afternoon with the girls, I wasn’t a big fan of the chocolate scones or the sickly sweet treats, which is surprising given my weakness for desserts. However, its popularly shows no signs of waning, and The Sanderson has even launched a Tipsy Afternoon Tea, which includes a cocktail flight. 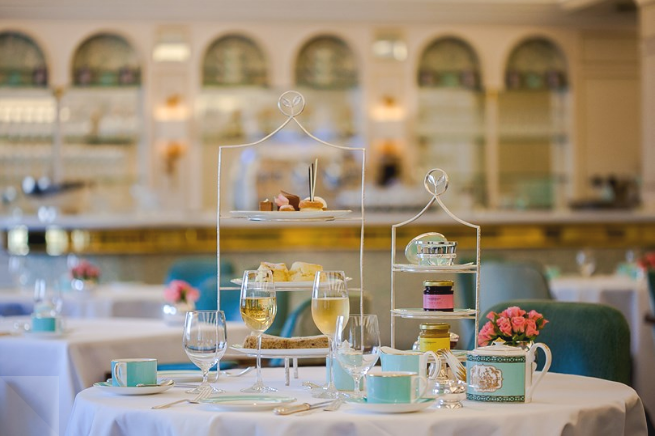 The Dorchester: Having dined at Alain Ducasse at the tail end of 2015 (read my review here) and walked through the Promenade where afternoon tea is served, The Dorchester tops my wish list. In short, it ticks all of my prerequisites: elegant decor (they had me hooked with the light green upholstery; my favourite colour), plenty of Laurent-Perrier, exquisite food and impeccable service. 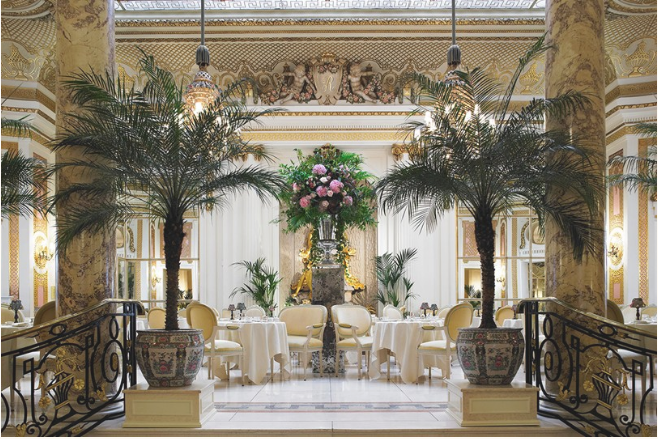 The Savoy: Tea is served in the Thomas Foyer, which houses a winter garden gazebo under a beautiful glass dome. 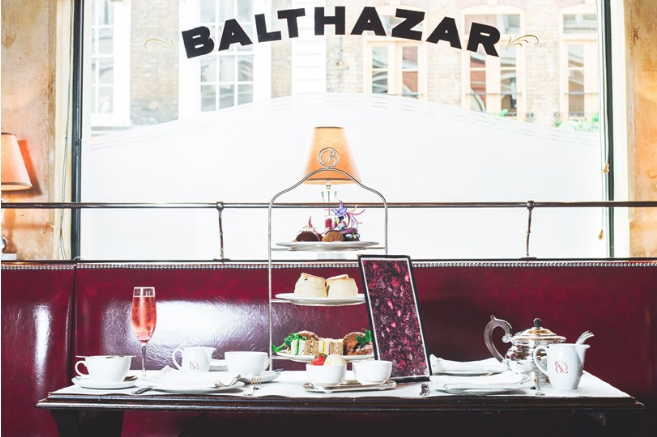 Although there are no surprises with their menu, The Savoy recently announced their collaboration with British couturier Suzie Turner, thus bringing together two of my favourite things: high tea and high fashion. 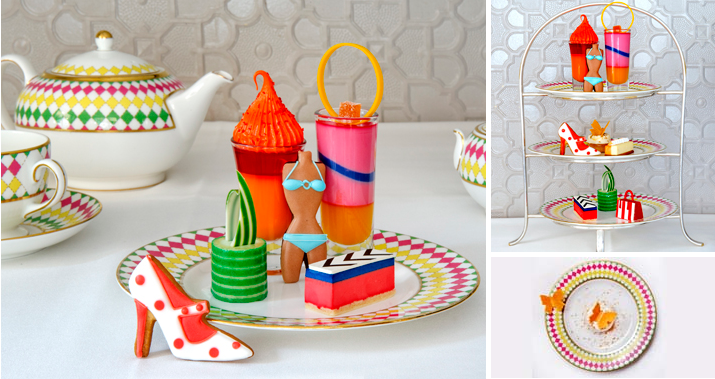 Inspired by the fashion shows of the 1950s, the Salon Couture High Tea includes pastries decorated with Suzie’s sketches, and is taken in the company of 10-12 couture gowns. The Berkeley: As much as I love the traditional versions, it’s always refreshing to sample something more risqué. Instead of dainty finger sandwiches, you’ll be presented with biscuits, cakes and mousses in the shape of Louboutin heels, Burberry trench coats, Prada handbags and Alexander McQueen dresses. Even the crockery is haute couture, having been designed by Paul Smith. 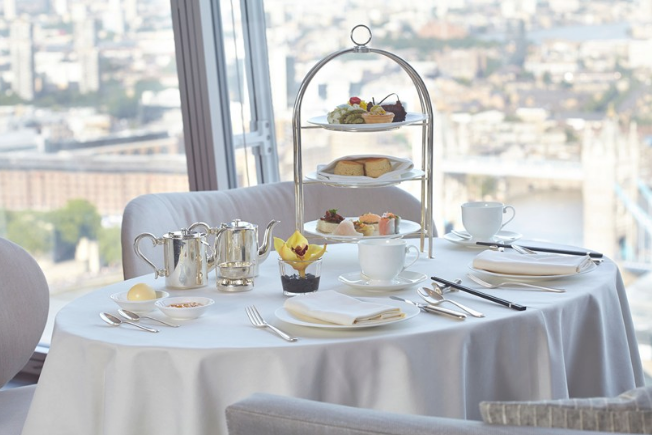 The Shangri-La at The Shard: Aside from the spectacular view over London in Europe’s tallest building, the Shangri-La offers both traditional and Asian-inspired afternoon teas. The latter has piqued my curiosity as there are prawn dumplings, vegetable gyoza, ginger-cured salmon and duck rolls followed by desserts featuring coconut, mango, green tea and cinnamon.